This article is not about me. It’s not about how I grew up virtually tone-deaf, or about how long it took me to figure out why Mrs. Pinkston, my elementary school music teacher, would bend down to place her ear directly in front of my face as the class sang together, giving me a curious look before moving on to circulate among the other students. This article is not about the time I found my voice. I was a sophomore in college when, the first night of our dorm camping trip, someone started to sing as we stood around the campfire. I joined in, and out came a rich baritone no one had ever heard – including me. Everyone – including me – burst into laughter. I was a stringbean of a teenager, and my mouth had no business producing a voice like Enrico Molinari’s. Neither is it about how I started to lead davening servicesafter becoming observant. I had already finished college when I began to learn aleph-beis; pronunciation did not come easily, and neither did nusach – the subtle, not-quite-random liturgical chant. But I was determined: whenever mastery of Talmudic texts eluded me, it was leading the weekday prayersthat gave me my only sense of real accomplishment. It’s not about how I made the transition from weekday to Shabbos services. The head of my yeshiva was old-school: imperfect nusach was an offense to the congregation, and I was repeatedly disqualified as incompetent before finally being allowed to enter the regular rotation. My wife still groans when she recalls the countless hours of practice she had to endure in our tiny apartment. It’s not about gaining confidence before the congregation, first for Shabbos, then for festivals, and finally for the High Holidays. A deeper intimacy with the liturgy and an appreciative congregationwere the rewards of my labors. Over time, Shabbos chazzan became part of my identity. This article is not even about the day I lost my father when, according to the laws of mourning, I found myself disqualified from leading the Shabbos services once again after a quarter-century. This is what it’s about: two women named Naomi and Ruth who, together, changed the world by laying the foundations of the Jewish monarchy. The problem with having had a mentor who was such a stickler for davening is that I myself became intolerant of less than fully-qualified chazzanim. Mispronounced words, uneven rhythm, corrupted nusach, and dreary melodiesmade me wince and soured my entire shul experience. After all, I could do so much better myself. Until I couldn’t. During my twelve months as a mourner, the only access I would have to Shabbos and festival davening would be as a participant, not as a leader. And faced with the inevitable, my whole attitude began to change. What is a congregation? Is it not the creation of one out of many, a microcosm of the Jewish people’s experience at Sinai, when we stood together, k’ish echad b’leiv echad – like one man with one heart? And what does it say about me if I stubbornly critique the shortcomings of others instead of looking for every way that I can contribute to the collective? The one-thousandth piece of a puzzle can remain apart, a shapeless splash of incoherent imagery whose only contribution is to leave an empty scar upon an otherwise perfect picture. But when it adds itself to the whole it does not lose its identity; rather, it becomes part of something much greater than itself while bringing completion to a thousand other pieces. By the same token, a single voice, no matter how sweet, will be hard-pressed to fill a decent-sized sanctuary. But add in the accompaniment of even a few moderately tuneful voices and instantaneously a rush of spiritual energy floods through the sanctuary and transports the parishioners to a higher plane. Moreover, if one can use his talent anonymously to enhance the davening of another chazzan– or, by stepping into the breach, to spare him embarrassment when he stumbles — is there any expression of divine servicemore precious before the Almighty and more lovingly received before His court and His throne? This is the divine magic of harmony, of unity, of the splintering of egos before the singularity of the Jewish nation. Together, we create more than we possibly can as individuals; and if, by losing myself among the many, I also forgo the recognition of individual accomplishment… well, what of it? 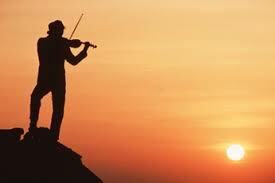 Better second fiddle in an eternal symphony than first violin on some forgotten stage. Which brings us at last to Naomi and Ruth, the real subjects of this article. In a time of famine, in a generation beleaguered by national crisis, Elimelech took his family and left his land, forsaking his nation and his obligations as a leader among his people. And his wife, Naomi, acquiesced, following her husband for the sake of her family duties, despite whatever misgivings she may have had about their collective decision. Did Naomi protest against Elimelech’s abandonment of the Jewish people? Did she try to dissuade her sons from taking foreign women as wives? We would assume so, although scripture gives us no clues. But Naomi stayed with her family until the bitter end when, bereft of everything she had once had, she sends her daughters-in-law back to their people and stoically accepts the justice of her fate alone. But she does not remain alone. Wherever you go, I will go; wherever you dwell, I will dwell; your people are my people, and your G-d is my G-d. Can we begin to imagine Naomi’s reaction to these words, spoken by the daughter who refuses to abandon her, recompensing the dubious loyalty Naomi had shown the husband who led her away from her G-d and from her people, embracing her with a passionate expression of fidelity to return with her to G-d and to her nation? Who must Naomi have been, to inspire such profound selflessness in a daughter of Moab, a nation so lacking in the quality of kindnessthat its sons can never be fully accepted as true converts even after ten generations? Who must Ruth have been, to put so much trust in her adopted mother that she would cut every tie to her past and strike out penniless into the unknown? Is this Naomi? gasped the women who had known her before her departure, unable to reconcile the poor and lonely widow returning from afar with the visage of wealth and prominence they remembered. But it was Naomi, the same woman who had silenced her own misgivings to follow her husband, who now suppressed her own feelings of shame and abandonment to guide the migrant soul of Ruth toward finding a place among her new nation. And it was Ruth who, having lost her new husband, Boaz, on her very wedding night, declined the spotlight and eschewed center stage upon the birth of her son as the women proclaimed, A child is born to Naomi! This moment was Naomi’s consolation for all she had lost, and far be it from Ruth to claim it for her own, however entitled she might have been. Each a heroine willing to step aside before the will and honor of another, Ruth and Naomi both rise as shining stars, showing future generations the way of selfless harmony that blends disparate individuals into a holy orchestra, led forward in its mission by their great-grandson, King David, the sweet singer of Israel, and guided by the celestial baton of the Conductor. I still feel my blood pressure rising whenever a chazzan fails to do justice to the beauty of our prayers. But now I hear the whispering of two women, reminding me that it’s not all about me, reminding me that I have a role to play even if it isn’t from center stage, and reminding me that when our devotion to one another outweighs all other considerations, then we will truly stand together as we did at Sinai, as one man with one heart, to merit the divine harmony of true redemption. [Rabban Yochanon ben Zakkai] said to [his students]: Go and see which is the good path to which a person should cleave. Rabbi Eliezer said: A good eye. Rabbi Yehoshua said: A good friend. Rabbi Yossi said: A good neighbor. Rabbi Shimon said: To foresee consequences. Rabbi Elazar said: A good heart. [Rabban Yochanon] said to them, I prefer the words of Elazar ben Arach over your words, for included in his words are all of yours. 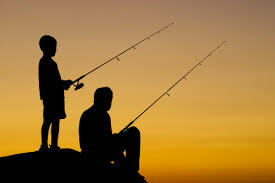 The old cliché remains as timeless as ever: Give a man a fish and you give him food for a day; teach him to fish and you give him food for a lifetime. The principle applies especially well to education: teach a student information and you add to his reservoir of knowledge; teach him how to learn and you enable him to educate himself for the rest of his life. For this reason, Rabban Yochanon does not merely teach his students which is “the good path” that a person should follow. Instead, he sends them out to “see” for themselves, to discover on their own the answer to this all-important question. But where are they supposed to look? And what do their answers mean? A good eye? A good heart? How do these simplistic sound bites define the “good path”? And why does Rabban Yochanon find Rabbi Elazar’s answer superior to those of his fellow students? The Zohar tells us that before the Almighty created the world, He looked into the Torah as His blueprint for Creation. The best way to understand our place in the world, therefore, is for us to look into the Torah as well. In the beginning, God created the heavens and the earth. And the earth was without form, and void; and darkness was upon the face of the deep. And the spirit of God hovered over the surface of the waters. And God said, Let there be light: and there was light. And God saw the light, that it was good: and God divided the light from the darkness. And God called the light Day, and the darkness He called Night. And there was evening and there was morning — one day (Bereishis 1:1-5). Independently, each of the students followed the narrative of Creation and each, mindful of Rabban Yochanon’s instruction to find the good path, stopped at the same place: And God saw the light, that it was good. Each student recognized that the Torah’s first mention of the word “good” offered the most likely source for divining the good path they had been commanded to seek. At this point they all arrived in agreement. From here forward their interpretations diverged. An understanding of the students’ answers, however, requires a closer examination into the Creation narrative. The light of Creation cannot refer simply to the light by which we see, for the simple reason that the Almighty did not create the sun and the stars until the fourth day, whereas He created the light on day one. If so, what was this light of Creation? The kabbalistic principle of tzimtzum (literally, contraction) instructs us that, since Hashem is everywhere, He could not begin to create the universe until He had first created a place where He was not, a spiritual vacuum that would serve as the blank canvas on which to produce the greatest creative masterpieces imaginable — the universe, the world, and Man. Only after preparing this spiritual vacuum (described by the Torah as void and darkness), could the spirit of God begin the act of Creation as it hovered over the primordial emptiness (the face of the deep), reintroducing the divine energy of the Eternal into the spiritual void — an act that can only be described in human language through the expression, Let there be light! Through this act of Divine illumination, the Almighty translated His creative blueprint into physical and spiritual reality. The Torah, previously an unformed ideal in the infinite mind of God, manifested as a world created for the fulfillment of spiritual purpose. It is for this reason that the Aramaic name for Torah is oraissa — source of light — for it shows us the path and guides us as we seek to find our way through the darkness of the physical world toward spiritual enlightenment. Thus Rabbi Eliezer declares that to walk the “good path” requires a “good eye,” the ability to perceive the Divine light of Hashem and follow it through our world of spiritual darkness. The spiritually myopic or, even worse, the spiritually blind, will stumble and stray from the path. Only one who cultivates the spiritual sensitivity to recognize and appreciate the Divine illumination of the Torah will be able to cling to the good path. According to Jewish law, each 24-hour day actually begins as the evening sun falls below the horizon. Just as the Jewish Sabbath starts Friday evening, so too does every day of the week begin as night falls rather than with dawn the following morning. The biblical source for this is the repeated verse, And there was evening and there was morning. Human nature dictates that we truly appreciate only those things we are forced to do without. 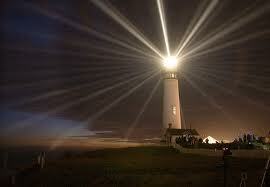 Just as the light of Creation is essential to human beings, equally essential is our appreciation of that light. With this in mind (together with the mystical reasons already discussed), the Almighty created first the darkness before the light, thereby enabling mankind to fully appreciate the light that would illuminate his world. The light, therefore, became a good friend to the darkness that preceded it, while the darkness provided the contrast and context in which to value and cherish the light. According to Rabbi Yehoshua, adherence to the good path requires not only spiritual perception but the spiritual framework that gives perception its true meaning — not only a good eye but a good friend as well. The kabbalists introduce us to the mystifying idea that, in the earliest moments of Creation, light and darkness were not divided as they are now, but were somehow intertwined in harmonious coexistence. Having already defined the light of Creation not as photons striking the optic nerve but as spiritual illumination of the Divine will, we can take the next step of interpreting light as symbolic of good and darkness as symbolic of evil. Since everything the Almighty does is ultimately for the good, light and darkness — i.e., good and (the perception of) evil — were at first inextricably woven together. But since the ultimate purpose of Creation would require that Man recognize and choose the good path, Hashem needed to enable Man to discern the good that should define his mission and guide his actions. As the next step in Creation, therefore, God divided the light from the darkness. And God called the light Day, and the darkness He called Night. According to Rabbi Yossi, it is sufficient neither to have merely a good eye to see the light nor a good friend to appreciate it. What is even more critical is a good neighbor, the ability to draw and recognize boundaries between the light and the darkness, between good and evil. As Rabbi Yossi understood it, this is the key to walking the good path. The sages explain that the creation of light, although necessary for the existence of Man, presented a profound danger to survival of Man as well. Just as nuclear technology can produce the energy to sustain all civilization, so too can it produce the destructive power to annihilate all civilization. 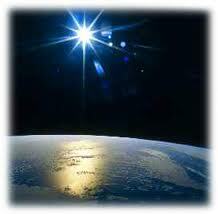 Even greater than nuclear energy is the power of the Almighty’s Divine light. In the hands of the righteous, Hashem’s spiritual light can elevate humanity to the level of Godliness. In the hands of the unscrupulous it can be perverted to manipulate and exploit the unlimited blessing Hashem has provided for our benefit. 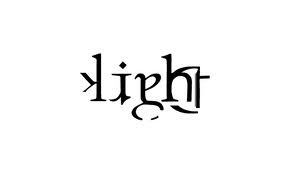 Hashem hid His light in the Torah. Unlike other intellectual pursuits, the study of Torah is no mere academic discipline. To truly acquire Torah wisdom, the student of Torah must commit himself to the internalization of Torah values and must allow the Torah to transform his character. Although Jewish history does provide examples of charlatans who learned enough to exploit their Torah knowledge, these are exceptions to the rule. For the most part, by the time a scholar reaches the level where he has acquired Torah wisdom, the Torah has shaped him into one of the righteous to whom the divine light of Torah can be safely entrusted. For this reason, Rabbi Shimon declares that the essential quality to walk the good path is to foresee consequences, to discern and appreciate the divine light not only as it appears at any given moment, but to anticipate what will become of it as one walks the good path in pursuit of spiritual goals. It is often said in the name of Rabbi Yisroel Salanter that there is no greater distance than from the head to the heart. Intellectual knowledge is indispensable, but true wisdom comes when we internalize the knowledge of our minds so that it penetrates our hearts, when we allow what we know to become part of who we are. The first four students of Rabban Yochanon all identified the correct source to answer their teacher’s question, and they all accurately interpreted its relevance. Their argument was about emphasis: which is the most critical factor in adhering to the good path? Perception, context, differentiation, or forsight? But they erred by failing to recognize that each of the steps they identified is an inseparable part of a process that remains incomplete without the full integration of every component. No one factor outweighs any of the others, since the process itself is an indivisible whole. Rabbi Elazar ben Arach expressed this understanding as a good heart: only when one has acquired a unified perspective of every facet of the Divine light is he equipped to adhere to the good path; only when he has completed the whole process will he have fully internalized the values of Torah; and only then will he have refined his character to the point where his Torah wisdom will faithfully serve him, and where he will faithfully serve it. It is the absolute commitment to acquiring a good heart that enables one to walk the good path. This is why Rabban Yochanon declares: I prefer the words of Elazar ben Arach over your words, for included in his words are all of yours. A final insight into Rabbi Elazar’s words comes by calculating the gematria of the word heart, leiv, the numerical value of which equals 32. In the narrative of Creation, we find that from the Torah’s opening word – Bereishis – until the first appearance of the word good we count 32 words, the equivalent of leiv, or heart. Consequently, the phrase “good heart” – leiv tov – alludes to the process that begins at the beginning of the Torah and ends with the heart fully integrating the values of Hashem’s ultimate good. Not merely the story of Creation but the very structure of the Divine word provides a remarkable illumination of Rabbi Elazar’s lesson. Only by beginning at the Beginning and working steadfastly through to the end can one acquire a good heart and successfully negotiate the good path. Like any physical journey, the journey to spiritual well-being begins with a single step and ends only after the traveler has placed one foot in front of the other until he arrives at his destination. Between Pesach and Shavuos we count 49 days, from the korban omer (the offering of the first barley harvest) to the sh’tei halechem (the offering of the first wheat harvest). The sages describe barley as animal food; only bread from wheat flour is truly fit for human consumption. The 49 days of Sefiras HaOmer, therefore, represent our transition from creatures little better than animals to fully human creations more exalted than the angels. The freedom of Passover, ironically, does not even begin the count. Freedom is mere potential. It is what we do with our freedom that defines who and what we are. And so it is on the day after Pesach that we begin to count, describing a process of spiritual and moral development through which we strive to re-experience the spiritual maturation of the Jewish people from yetzias Mitzrayim to their acceptance of the Torah, the Divine gift that provides us with purpose and direction so that we might reach the limits of our potential. Each day and each week corresponds to a unique combination of qualities: kindness, discipline, mercy, consistency, humility, moderation and, ultimately, the integration and harmonization of all these into the most elusive quality — character. Within Rabbi Elazar’s formula of a good heart we find yet another profound allusion. Just as the numerical value of the word leiv, heart, equals 32, so does the numerical value of tov, good, equal 17. 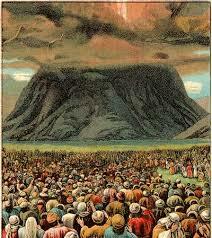 Together they equal 49, the number of days we count as we prepare to re-accept the Torah. Accordingly, we discover that the first 32 days represent a transformation of the heart, where the final 17 days represent the application of our newly elevated moral character into the practice of true good, or tov. The transition point is day 33, the day we call Lag B’Omer, on which we commemorate the yahrtzeit of Rabbi Shimon bar Yochai. Despite their exceptional scholarship, Rabbi Akiva’s students fell short in the respect they showed to one another. 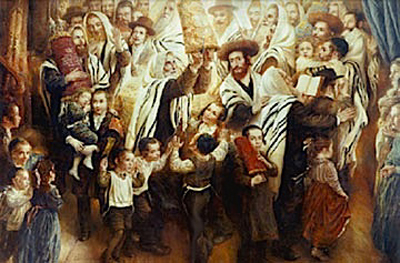 To achieve anything less than perfection in that critical lesson, to miss the mark in the development of character (which is the foundation of Torah observance), to overlook the opportunity offered by the days between Pesach and Shavuos to perfect the qualities that govern one’s interpersonal relationships — all this proved fatal to a whole generation of extraordinary scholars. The season that should have remained a time of joy instead became a season of mourning and self-reflection. But all was not lost. Among the five surviving students of Rabbi Akiva was Rabbi Shimon bar Yochai, whose unique ability to bring the mystical secrets of the Torah to light yielded a new era of spiritual illumination for the Jewish people. Amidst the deepening darkness, the light of Torah would burn all the more brightly; and after the loss of so much Torah, the potential to rebuild the spiritual supports of the Jewish nation can be recovered through our understanding of why tragedy befell us, and how each of us carries in his heart a flame to light the world. And so we commemorate the life and teachings of Rabbi Shimon bar Yochai by suspending the days of mourning, by lighting bonfires to symbolize the light of Torah dispelling the darkness of exile, and by rejoicing in the mercy of the Almighty who transforms every disaster into the potential for renewal. Through our Torah study and our sincere efforts to acquire the quality and character that defines a true Torah Jew, each and every one of us can hasten the arrival of the End of Days, when the darkness of confusion and despair will be permanently dispelled by the light of the Ultimate Redemption. Try to imagine the standard of ritual purity and cleanliness held by the Kohein Gadol, the High Priest, the spiritual envoy of the Jewish people to the Almighty whose role demanded that he never come in contact with a dead body, prohibiting him from escorting even his own parents, spouse, siblings, or children to their final resting places. Nevertheless, if the Kohein Gadol encountered a meis mitzvah — the unattended corpse of an unidentified stranger — while on his way to perform the service in the Beis HaMikdash, the Torah obligated him to provide a proper and immediate burial, even if that meant an underling would have to assume his duties in the Temple. The honor of his fellow Jew and respect for the divinity that resides within every member of his nation had to take precedence over virtually any other concern. The Chofetz Chaim, Rabbi Yisroel Meir HaKohein Kagan, applies this precept in an unexpected direction. Read the whole article here on Block Yeshiva’s new blog. 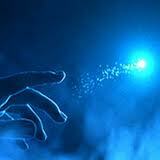 Seemingly small actions can produce dramatic results in the spiritual world as well as the physical world. A timely wind can win or lose a revolution, a volcano eruption can prevent a famine or save a life, and the musings of our hearts can destroy our world or redeem us from exile. Understanding the natural and spiritual causes of the destruction of the Second Temple. Excerpted from my book, Dawn to Destiny.